Are you looking for Custom Business Holiday Gifts Perfect For Corporate Christmas 2018? We have brand new one-of-a-kind gift ideas that are themed to your company and what you do. If you need holiday gift ideas, please look at our large selection of ideas to fit any budget. Our unique gifts are branded with your logo and message. Decorated in your corporate colors to make sure your company stands out! Brand new Chocolate Tools Of The Trade Contractors Work Bench Gift. This work bench measures 6 inches wide x 4 inches deep x 4.5 inches high. Filled with a delicious combination of 13 white, milk and dark chocolate tools. 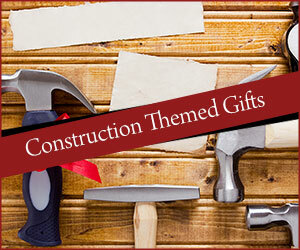 Great industry themed gifts for contractors, construction companies or builders. 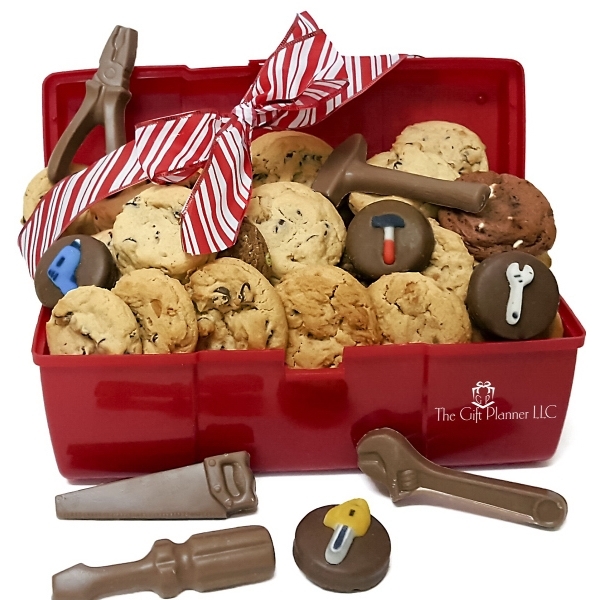 The Corporate Construction Cookie And Chocolate Toolbox is a great construction themed gift. Perfect to share at any office! 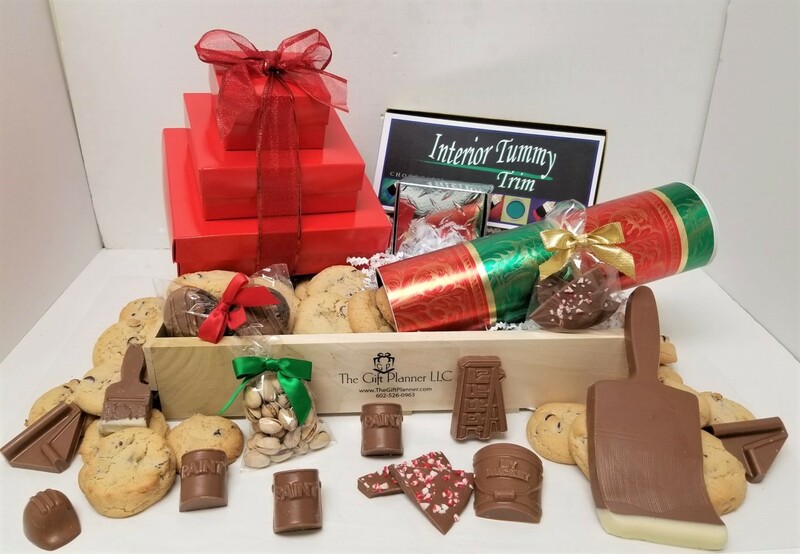 This toolbox gift basket is filled with delicious treats. An assortment of 30 delicious chewy cookies. 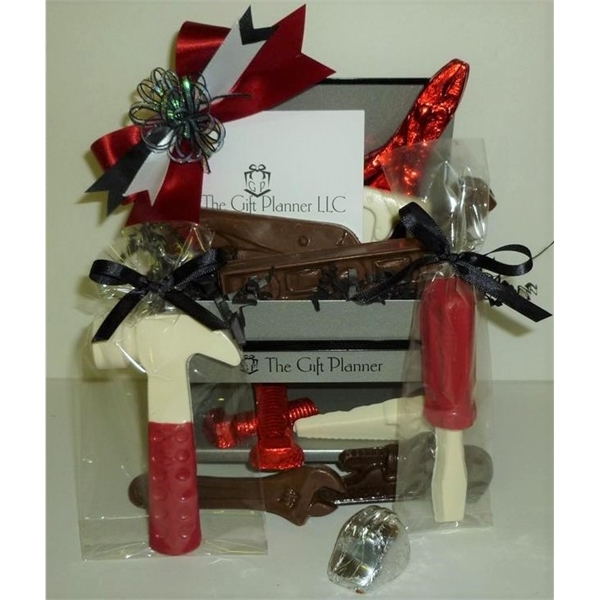 4 delicious decadent chocolate covered Oreos with an assortment of construction themed sugar tools. 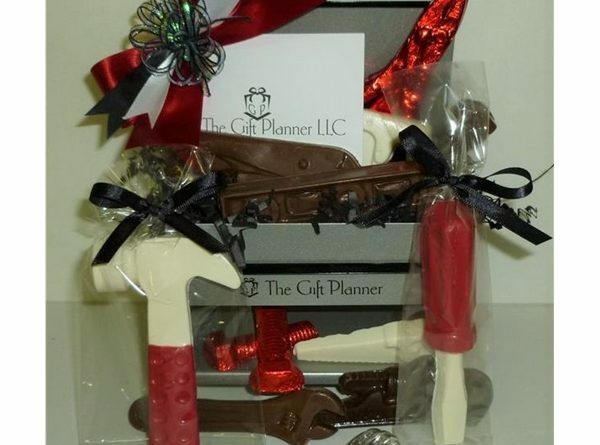 Five 12 ounce milk chocolate construction tools to represent your industry. The plastic re-usable red toolbox measures 12.5 inches x 5.5 inches x 5 inches. A construction themed toolbox gift perfect for this holiday season. The Painters Create-A-Crate Deluxe is an attention grabber for sure! This wooden crate gift basket measures 14 inches x 9 inches. Filled with paint themed chocolate, gourmet cookies, peppermint bark, nuts and more. Send this themed gift to your favorite customer or client. Makes a great holiday gift, thank you gift or a themed gift that represents your company. This Paint Themed Wooden Crate Gift Basket is a brand new 2018 holiday gift idea!